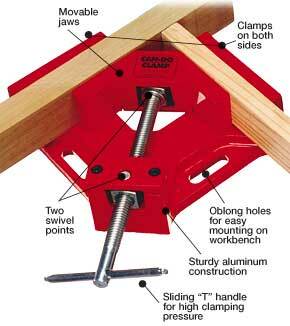 It's a Clamp and a Vise! Easy to Use! Great for framing, drilling, doweling, and much more. Sets up instantly... ready to go to work for you! 2-3/4" frame width capacity. See the Merle/Can-Do Combo Set below! This thing is perfect for the small shop with limited space, like me. 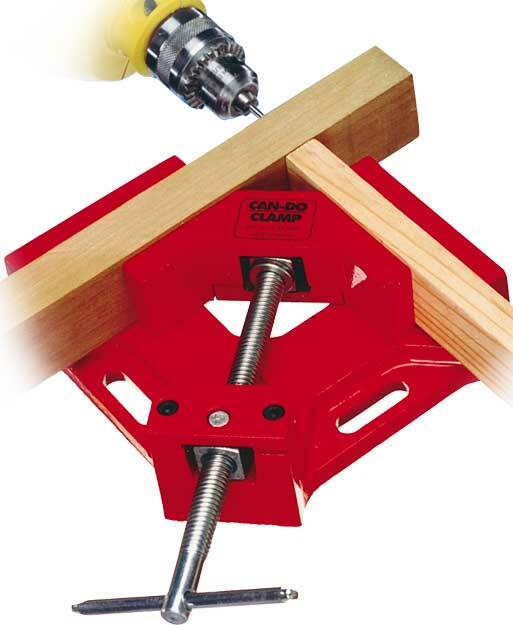 I even used it as a miter sled attached with hex bolts. 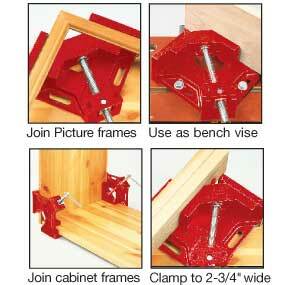 From vise to glue up, it's just what I've been looking for. Thinking of buying another one! SAVE $19.85! A terrific bargain package! 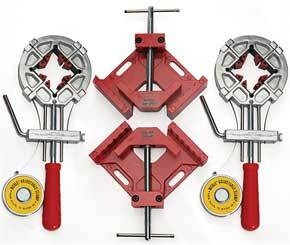 Get two each (four clamps total) of our most popular clamps. Purchase individually for $119.80.